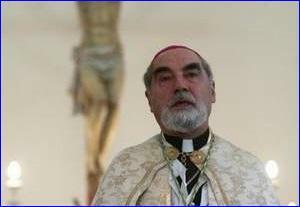 Assyrian Chaldean Bishop Emeritus Ibrahim Ibrahim said President Barack Obama 'assured that the United States will do whatever is possible to get rid of ISIS.' Concerned about the worsening condition of minorities in their native land, metro Detroit Iraqi-American Christians are lobbying U.S. officials and politicians, asking for their help as ISIS advances across Iraq. Chaldean Bishop Emeritus Ibrahim Ibrahim of Southfield and a few other Christian leaders met with President Barack Obama in the White House late last week to express their worries about Christians fleeing their homes because of the militant extremists. They talked on Thursday for about 35 minutes, with National Security Adviser Susan Rice attending for part of the meeting, Ibrahim said. Ibrahim said that Obama was sympathetic to their concerns. In addition to Ibrahim, the meeting included Christian patriarchs who are Lebanese, Egyptian and Armenian, among others. The meeting with Obama took place on the last day of a three-day conference, titled In Defense of Christians, held in Washington, D.C. It featured talks by Arab Christian leaders, Sen. Debbie Stabenow, D-Mich., Sen. Ted Cruz, R-Texas, and other politicians. Like thousands in metro Detroit, Kassab has roots in the Christian village Tel Keppe, a village where residents were driven out in recent months. Michigan has one of the biggest Iraqi-American Christian populations in the U.S., including Chaldeans, Assyrians and Syriacs. Christians are afraid to go back because ISIS booby-trapped their village and their Muslim neighbors worked with ISIS to drive them out, Kassab said. Kassab said the conference tried to bring attention to the plight of Christians in the Middle East. Also last week, U.S. Rep. Juan Vargas, R-Calif., introduced a bill in Congress that would allow entry into the country for refugees from Iraq and other Middle Eastern countries who face discrimination. If approved, it would bring in about 20,000 to 30,000 refugees, Kassab said. “The United States has a moral obligation to help the Iraqi Christians inside and outside of Iraq, because our foreign policy has caused this dire situation,” said Auday Arabo, a Chaldean advocate in West Bloomfield, who helped push for the bill.